To get a Porsche turbo power for Amiga 500 is really awesome. However, like any Lada or Polish Fiat. You need to open these old cars for tweaking them to get Porsche power. That’s exactly what you do with the Amiga 500 from 1987! This fantastic machine that Jeff Porter made to an reality at Commodore was the most sold Amiga computer ever. Some stats says 5 million, while other 7 million units of A500 machines sold worldwide. 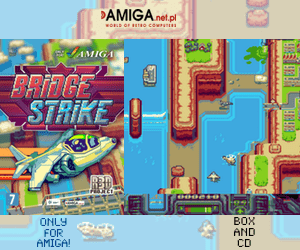 It was for sure worlds most popular Amiga! And now this machine can be upgraded to a very fast 68060 accelerated Amiga! Incredible! First thing to do is to unscrew Amiga 500 cover and eventually the metallic cover also. This is quite easy, but can be an issue if the screws you are using is in bad shape. So, make sure to have right equipment when you start. Once you have unscrewed everything. It might look like the pictures below here is showing. Be always gentle to your Amiga 500, when upgrading it. Be calm and everything will solve itself really nicely. You really don’t want a broken Amiga,.. ! So, be calm and all will be just fine! 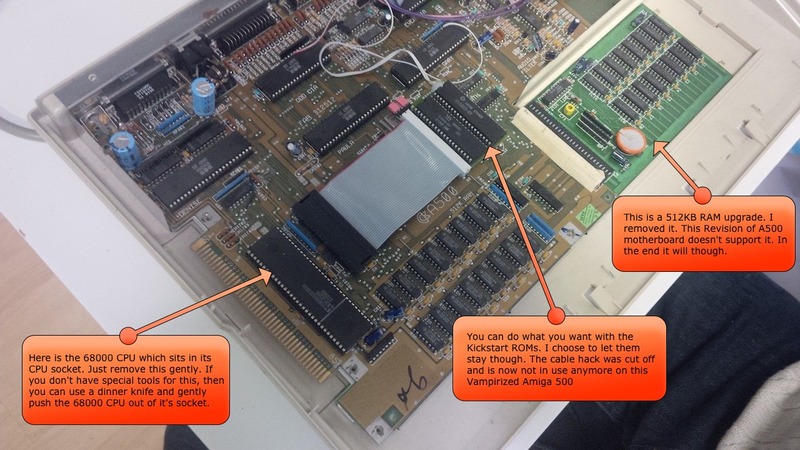 Here is all of the most important steps on how to upgrade your Amiga 500 with a Vampire 500 v2 Accelerator card from Apollo Team. Let’s begin! Use correct screws. They should fit and do not stress. They will get out. Just use gentle power and they will go out more easy. 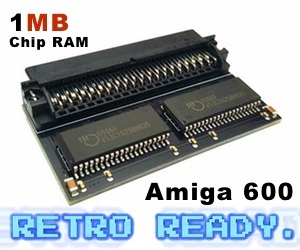 If you do have a RAM expansion card or something else underneath of your Amiga 500. Then remove that. Also, you can remove the Kickstart ROM’s. However, this is really up to you if you want to as Vampire 500 v2+ takes totally control of Kickstart. So, when installing ApolloOS. You really don’t need to think of Kickstart compatibility etc. Because it is there already! 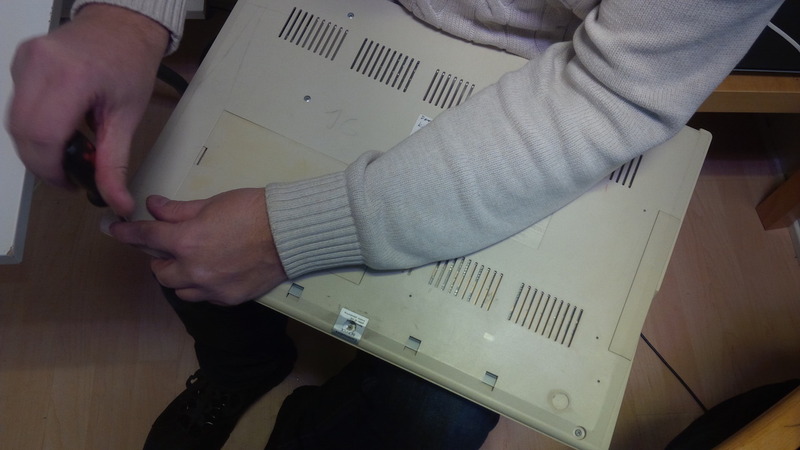 Here you can see how our Amiga 500 looked inside before it got Vampirized. You can see the RAM expansion on the top right. 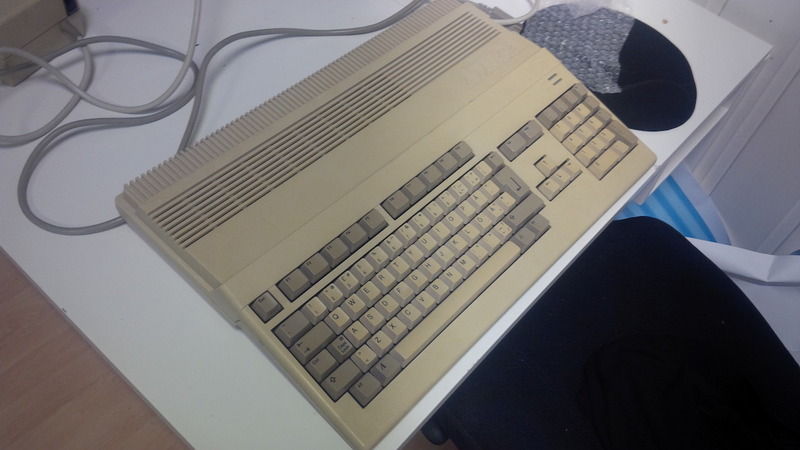 This Amiga 500 had a Kickstart hack before. 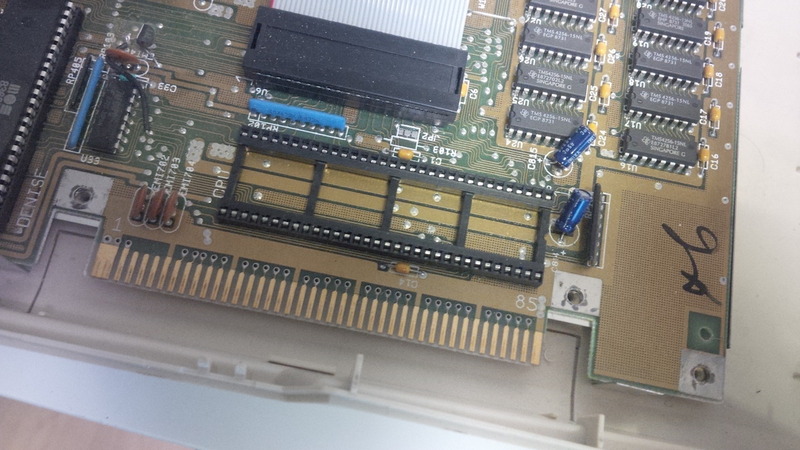 The 68000 CPU socket can be seen at the bottom just near the expansion area of the Amiga 500. I have added some nice info on the photo below! Once you have removed the 68000 CPU it looks like below. For me which haven’t done so much upgrades for Amiga 500 at all. This is quite interesting for sure. 68020 is square etc, while 68000 is actually looking like a bit bigger Kickstart ROM. However, it is not! The 68000 CPU sits just next to the expansion slot inside the Amiga 500. Interesting to know. On the top of the Vampire 500 v2, you can see the IDE slot. Also there is an expansion port, HDMI connector and a MicroSD reader which you can see on the right side on the picture below here. Underneath the Vampire 500 v2+ card you will notice the 68000 CPU slot pins. Mine was covered with plastic thingy that you remove gently before installing the Vampire 500 v2+ card. Be gentle but also aware. At the bottom of the Vampire 500 V2+ logo and writing, you are able to see a tiny dot just near the thumb finger. This shows the direction which the Vampire 500 v2+ card should be installed. Below here you see how the Vampire 500 v2+ is installed correctly. I also got a Compact Flash to IDE adapter connected to the IDE controller of the Vampire 500 v2+ card as seen below. When the card sits in its socket, then it is finally time to attach a HDMI cable to your favorite monitor. Our suggestion is to use the expansion hole for guiding the HDMI connector out of the Amiga 500 casing. Then you can just leave the expansion area open or you can 3D print the locker with a HDMI connector hole in it etc. Amiga 500 doesn’t have this extra expansion place at the back which Amiga 1200 got etc. Once you have put everything back again. Put the Amiga 500 cover on and the HDMI cable design of our Amiga 500 at Amitopia office looks like on the picture below. 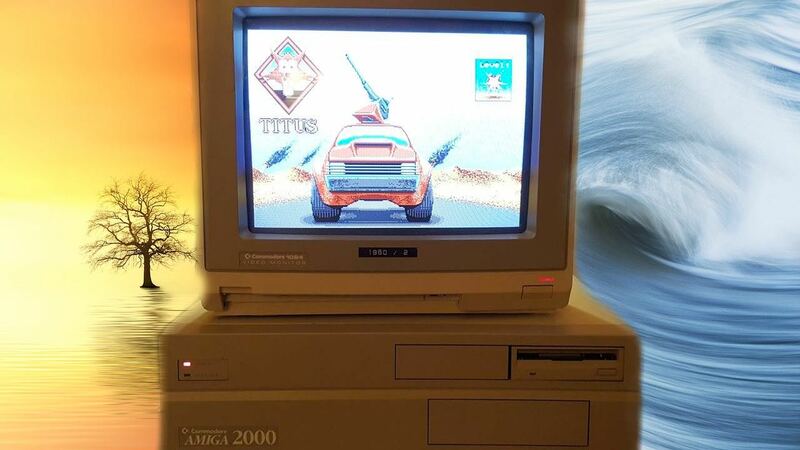 Your Amiga 500 will out of sudden be able to play high quality mp3s, watch movies, play FPS games, emulate macos really fast and also use many AmigaOS related graphics and tools apps that only works on AmigaOS installed on graphics card equipped Amigas. Vampire gives you access to AmigaOS programs and games that you couldn’t touch on your Amiga 500 before, without heavily mod your Amiga 500. 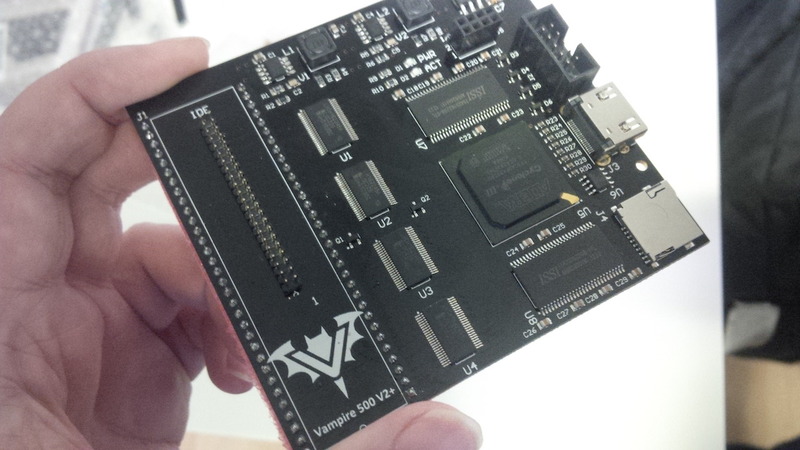 Vampire 500 v2+ simply makes your Amiga 500 a modern Amiga with some amazing powers. You can run OCS and RTG software. You can soon run FPU related software and you will also be able to run AGA software too. Amitopia will continue giving you full details regarding Vampire for sure! Vampire is for sure a massive debate by classic loving people. Yes, it is a FPGA accelerator. But that means its so adjustable too. 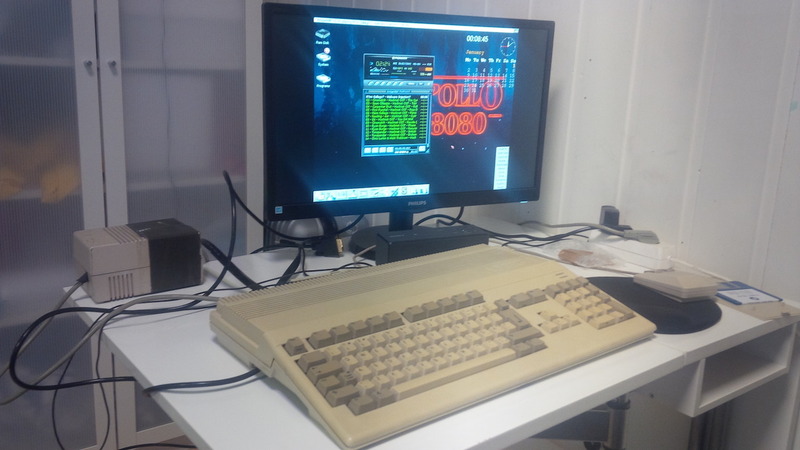 Vampire 500 v2+ doesn’t take over the whole Amiga 500. Paula and all of the Amiga 500 ports is still used as before. You will be amazed what sort of quality that the original Paula chip inside the Amiga 500 can produce. It’s incredible quality! So, after installing the Vampire! 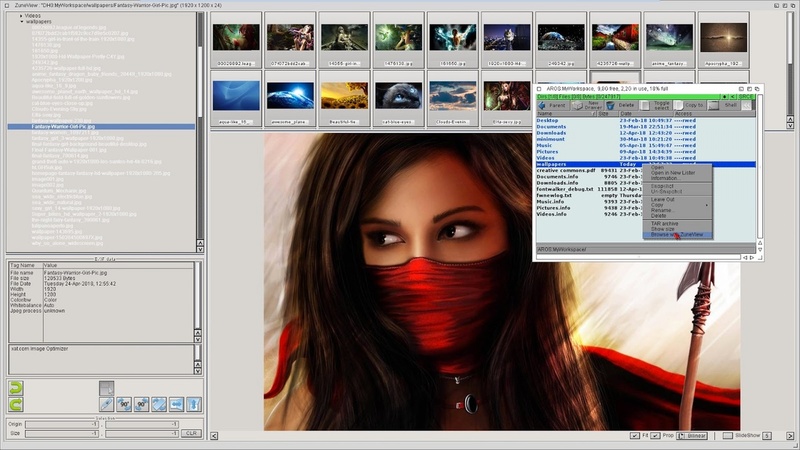 You have AmigaOS screenmode showing on your latest HDMI monitor or TV is quite interesting. The development is still going on so do expect to see much improvements to this accelerator FPGA card from Apollo Team. In the next article I will be taking you thru ApolloOS installation. It’s really easy! However, we’ve got some very unique and nice tips on how to do this even faster and more simple too.